I could, I suppose, grumble again about the obvious (the combination of repeated stock market records with withering corporate fundamentals isn’t good), but Ed bade me keep silent on the topic. So we’ll try to offer up a bunch of lighter pieces, suitable to summer. And I’ll return to keeping company with heirloom tomatoes, oddly-stunted potatoes and cold beer. I hope you do likewise. Ariel Global (AGLOX): over a two decade career, Rupal Bhansali has clung to a simple observation: “if you don’t swim in shark-infested waters, you can’t get bitten by a shark.” That insistence on ruthlessly weeding out the bad idea first has served, and is serving, her investors well. Catalyst MAP Global Total Return Income (TRXAX/TRXIX): some funds thrive through flash, some through discipline. The managers at MAP have been practicing outstanding discipline and focus for the past 15 years, first in their separate accounts and now in their two funds. TRXAX, a sort of global balanced fund, is proving to be a worthy extension of their long investing tradition. On July 11, SouthernSun Asset Management launched their Global Opportunities fund. SouthernSun’s flagship is a long-established small cap fund, and this seems to be a global version of that strategy. The fund seeks long-term capital appreciation. The plan is to invest in 15-40 companies SouthernSun believes are “niche dominant, attractively valued with financial flexibility and uniquely fitted management teams.” It’s nominally all-cap ($100 million and up) but the manager intends to target small- to mid-cap stocks. They have the option of hedging their currency exposure, but don’t currently intend to do so. The fund will be managed by Michael W. Cook, SouthernSun’s CEO and CIO. When we profiled SouthernSun Small Cap in 2011, we highlighted two risks. It is highly concentrated, especially for a smaller cap fund. Only nine of the 75 SMid-cap core funds place a greater fraction of their assets in their top ten holdings than does SouthernSun (47%). That said, most of those concentrated funds have posted strong risk-adjusted returns. It is volatile, though not gut-wrenchingly so. The fund’s five-year standard deviation (a measure of volatility) is 29. By comparison, FPA Capital is 22, Longleaf is 24, and Vanguard Extended Market Index (WEXMX, which has a similar market cap though far lower concentration) is 27. Morningstar rates is as having above-average risk and Lipper rates it as “low” in capital preservation. Both services agree, though, that the risk has been well-rewarded: Morningstar gives it “high” returns and Lipper makes it a “Lipper Leader” in the category. History seems to have born our concerns out. The question for investors approaching the new Global fund is whether Mr. Cook simply got ahead of the market, positioning the fund for long term success at the price of another run of short-term disruption. Given the 2016 performance of the recently reopened Small Cap Fund (up 15% through the end of July, in the top 2% of its peer group) and Mr. Cook’s longer-term record, it would be imprudent simply to glance at a two-star rating or a dismal three-year performance and walk away. The initial expense ratio is capped at 1.70% for Investor shares, including a 1.0% management fee. The minimum initial investment is $2,000, reduced to $1,000 for IRAs. There’s not a lot of content yet on the AMG SouthernSun Global page. You might get more insight by reviewing AMG SouthernSun Small Cap’s, since the strategies are the same. Southern Sun’s own website walks you through their story without much additional substance. The recently launched Centerstone Investors (CETAX) and Centerstone International (CSIAX) funds are now available through the Schwab and Pershing platforms. Both are managed by Abhay Despande, formerly of First Eagle Funds. At the same time, they published their Q2 shareholder letter: Setting Up Shop & the Art of Ignoring Headlines (06/30/2016). Mr. Deshpande recognizes the current challenges: “global long-term interest rates at close to zero, stock prices at historically high levels and increased uncertainty across the globe.” He acknowledges that some investors might be tempted to allow a top-down call (“it’s too scary right now”) to shape their portfolios. He rejects that strategy in favor of one that starts with the premise that “we will continue to have major challenges to overcome. In the case of the latter, which is our own approach, our portfolios will tend to be diversified among well capitalized and reasonably priced businesses, along with some reserves. This long-term, global, bottom-up approach has served us well over time and we believe will continue to do so.” The letter offers a thoughtful, gracefully-written intro to Mr. Deshpande’s approach. It’s quick and well worth reading. West Shore “elected not to renew its investment advisory agreement” with the West Shore fund and has been replaced with Satuit Capital Management. I never warmed up to West Shore, which started as West Shore Real Return Income Fund (NWSFX) then became West Shore Real Return Fund after 18 months. At that point, they changed their objective from “capital growth and current income” to “preserving purchasing power.” And they pretty much completely rewrote their “principal strategies” text so that it’s hard to know how exactly the portfolio will change, though the addition of a risk statement concerning the use of futures and other derivatives does offer a partial answer. I’ve been genially skeptical of the fund for a long while. At a reader’s behest, I spoke at length two years ago with one of the managers whose answers seemed mostly circular and who was reluctant to share information about the fund. His basic argument was: “we don’t intend to make information about the fund, our strategies or insights available on the web.” At the end of the call, he announced that he and co-manager James Rickards were mostly the public faces of the fund and that the actual work of managing it fell to the third member of the trio. Mr. Rickards has since left to resume his career as doomsayer. The question is, what qualifications does a small cap specialist like Satuit have for running a sort of quasi-hedge fund? I have no earthly idea of what he’s doing, but apparently he’s doing it brilliantly. Scarborough won the toss in the Pavilion Cup final at Flixton and elected to bat first with Snowball getting the innings off to an excellent start retiring on 30. 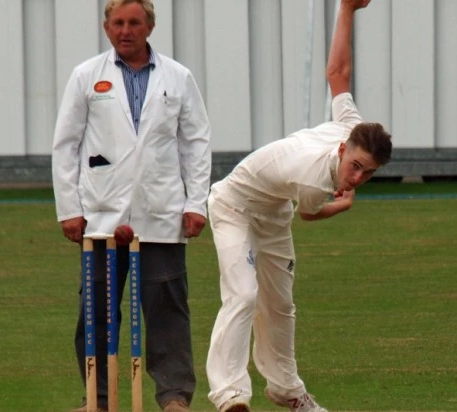 When Snowball retired Tom Pratt hit 24 and Kieran Rutter added 26 as they moved the score onto 101 for 3 after 15 overs. At this stage Pickering were still in a position where the runs could be chased down, which was mainly due to tight bowling from James Boyes and Tom Dawson, but a quickfire 30 retired (off 13 balls) from Arthur Ashton took the final score to 151-7 which proved to be a total too difficult for Pickering to chase down. Pickering in reply were soon in trouble being reduced to 2-2 after two overs with Snowball taking both wickets… The man of the match award, adjudicated by the umpires, was awarded to Snowball for his excellent all-round performance. Congratulations to the young Snowball a/k/a SnowyLadd. And no, I have no idea of how I might be related to the ferocious bowler. The erstwhile Burnham funds (Burnham Fund, Financial Services RMBKX, and Financial Services Long/Short) are now RMB or RMB Mendon funds, as in RMB Fund RMBHX, RMB Mendon Financial Services RMBKX and RMB Mendon Financial Services Long/Short RMBFX. Burnham Financial was replaced as adviser to the funds on July 1, Jon Burnham was replaced at Burnham Fund but Anton Schutz remains at the helm of the financial services funds. The original Mr. Burnham (I.W.) managed the growth-and-income Burnham Fund from 1975-1995 while the younger Mr. Burnham (Jon) ran it from 1995-2016. 74-year-old billionaire Mario Gabelli, famous for paying himself $60-70 million a year, has decided he needs more to do so he’s launching The Gabelli Go Anywhere Trust, “a non-diversified, closed-end management investment company with no operating history.” This will be the 16th fund in his management portfolio. Going There will cost you 3.12% a year, which pops to 8.45% a year once you factor-in “Distributions on Series A Preferred Shares” (though I’m not sure quite what that means). Who does this guy think he is, a presidential nominee? David Blaine Welliver, former manager of the long-defunct Dblaine fund, has pled guilty (again) to securities fraud charges and has the prospect of having the feds provide secure housing for him for the next five years. As Chuck Jaffe noted in 2011, the Dblaine fund itself was an act of criminal mischief but it represented a tiny sliver of Mr. Welliver’s activities according to the Minneapolis Star-Tribune. He pled guilty this month to a single charge of securities fraud arising from his 2010 attempt to bolster his fund empire. At a time when his firm has $200 in cash, he borrowed $4 million to buy two other mutual funds, spent $100,000 on the acquisition and $500,000 on himself. Five years later the feds got around to filing charges. At the same time, Visium Asset Management, former adviser to the defunct Visium Event-Driven Fund VIDVX, announced that it was firing 33 people and closing its hedge funds. Bloomberg links the closures to revelations of fraudulent activities by three former managers, one of whom subsequently committed suicide. The Oakmark Global Fund (OAKGX), Oakmark International Fund (OAKIX) and Oakmark International Small Cap Fund (OAKEX) all reopened to all investors effective July 29, 2016. Special thanks to David Shepard of Callahan Capital for the timely heads-up! The adviser of the Iron Horse Fund (IRHAX/IRHIX) has announced that it does not intend to renew the contractual management fee waiver agreement upon its termination on July 29, 2016. Expenses will then pop from 1.86% to 2.37%. That particular move will net the adviser ridicule and $8,500 a year, and will keep it ranked as the third most expensive fund in its peer group (option writing funds with front loads). That said it has been a consistently strong performer though it’s drawn only $17 million in assets. Effective July 29, 2016, Matthews Japan Fund (MJFOX) closed to most new investors. It’s a very solid fund and we debated whether to send a mid-month alert to our subscribers about the impending closure. Ultimately we decided against doing so, mostly because they are two stronger, small options available to interested investors: the four-star Hennessy Japan (HJPNX) with $120 million in assets and five-star Hennessy Japan Small Cap (HJPSX) at just $30 million. The SPARX Asset Management, a Japanese firm specializing in Asia-Pacific asset management, subadvises both funds. They’re very much worth your attention if you think the Japan story has legs. American Century Veedot Fund (AMVIX) is renamed the Adaptive Equity Fund effective as of September 7, 2016. American Century Legacy Multi Cap Fund (ACMNX) is renamed the Adaptive All Cap Fund effective as of September 7, 2016. At some point, probably soon but no one is saying, DSM Large Cap Growth Fund (DSMLX) will be reorganized to become the Touchstone Large Company Growth Fund. Despite its dismal ticker symbol, it’s a really solid fund with $200 million in assets. The management team expects to remain in place after the change. GMO is being removed as sub-advisor to John Hancock U.S. Equity Fund (JHUAX). Once that occurs, it will be renamed U.S. Growth Fund and its investment objective will be tweaked. Rothschild Larch Lane Alternatives Fund (RLLBX) is being renamed Fiera Capital Diversified Alternatives Fund. Effective October 1, 2016 TETON Westwood Income Fund (WEIAX) is changing its name to TETON Convertible Securities Fund. Understandably, its “principal strategies” will now include investing at least 80% in convertibles. USA Mutuals Barrier Fund (VICEX), formerly the Vice Fund (VICEX), has been renamed again as … wait for it! the USA Mutual Vice Fund (VICEX). At the same time, the description of the strategy went from focusing on industries with high barriers to entry (which includes “the alcoholic beverages, tobacco, gaming and defense/aerospace industries”) to focusing on vice industries (which is “the alcoholic beverages, tobacco, gaming and defense/aerospace industries”). American Century Legacy Large Cap Fund (ACGOX) and Focused Growth Fund (AFSIX) have both closed and will liquidate on October 21, 2016. “[B]ased upon the Fund’s current small asset size and small shareholder base,” its board has decided to liquidate Brown Advisory Multi-Strategy Fund (BAFRX). That will occur on August 12, 2016. Calamos Focus Growth ETF will be liquidated on or about August 8, 2016. At the beginning of October, Calamos Discovery Growth Fund (CDGAX) and Calamos Mid Cap Growth Fund (CMXAX) will both be liquidated. And somewhere in there, Calamos Focus Growth (CBCAX) will be absorbed by Calamos Growth (CVGRX) while Calamos Long/Short (CALSX) vanishes into Calamos Phineus Long/Short (CPLSX). CALSX was Gary Black’s fund, which Calamos adopted when they hired Mr. Black. By some accounts, Mr. Black’s team was being squeezed out and left Calamos a bit before he did. Mr. Calamos then took the reins and transformed a so-so fund into a bad one. CPLSX is a recently converted hedge fund, Phineus Partners LP, with $20 million in assets and a fine record as a hedge fund. City National Rochdale Multi-Asset Fund (CNIIX/CNIAX) will be liquidated “in an orderly manner” (sounds very British of them) on or about 29 September 2016. Discretionary Managed Futures Strategy Fund (FUTEX) becomes (PASTX) on or before July 29, 2016. E Fund China A Enhanced Equity Fund (EFAAX) bows out August 12, 2016. The Board of Directors of The Lazard Funds has approved the liquidation of Lazard US Mid Cap Equity Portfolio (LZMOX), effective August 30, 2016. Neuberger Berman All Cap Core Fund (NBEAX), Neuberger Berman Large Cap Disciplined Growth Fund (NLDAX) and Neuberger Berman World Equity Fund (NWTAX) are all scheduled to liquidate on August 4, 2016. 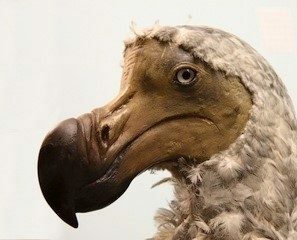 Neuberger Berman Inflation Managed Fund (NDRAX) goes the way of the dodo on October 14, 2016. Madison NorthRoad International Fund (NRIEX) will discontinue operations, liquidate, terminate, vanish and/or be assigned to the LowRoad on September 30, 2016. On July 7, 2016, its board decided to liquidate Oakhurst Defined Risk Fund (OAKDX). Two weeks later it was gone. It’s another case of an adviser abandoning a fund shortly after launch. In this case, it put in about 18 months and the adviser pulled the plug. The closing of the merger of Putnam Voyager Fund into Putnam Growth Opportunities Fund was originally scheduled to occur on or about July 15, 2016, subject to “certain closing conditions.” Since those conditions haven’t been met, the merger remains on hold. Schneider Value Fund (SCMLX) has closed in advance of its liquidation. USA Mutuals Generation Wave Growth Fund (GWGFX) and USA Mutuals/WaveFront Hedged Emerging Markets Fund (WAVNX) will both liquidate on September 29, 2016. USA Mutuals stuck with the latter fund, a converted limited partnership, for less than one year before giving up. A quick word of thanks and encouragement for folks who support the Observer through our Amazon link. As many of you know, we receive an amount equivalent to about 7.5% of whatever you buy – from used books to Halloween candy or home appliances – through our link. It’s invisible and costs you nothing (it’s part of Amazon’s marketing budget), but provides us a pretty steady $20-25/day. Despite the craziness of summer, folks have been very faithful about using the link and we’re thankful. If you’ve been meaning to use it but haven’t yet, take a moment, click our Amazon link and set it as a bookmark on your browser’s bookmark bar (the one you see across the top of your screen with your most-used bookmarks. 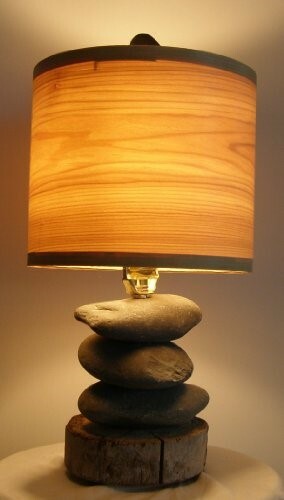 If you’re more inclined to browse for unique, hand-crafted goods, you might want to take a look at Amazon Homemade, where we found this really cool lamp. And if you love tormenting your children (or yourself) you could certainly use Amazon for some back-to-school shopping. If the dinner table gets rowdy, dropping the line “oh, yeah. I was just at Amazon and found some really nice notebooks for your Trig class this month” will really quiet them down. Thanks too, to those who continue to support us through direct PayPal donations Adrian, Larry, and stalwart subscribers Deb and Greg. We really appreciate you. Between now and our next issue, I’ll be working on a course I haven’t taught in ten years (Business and Professional Communication) as well as an old favorite with new relevance (Propaganda). And, too, we’ve got interviews lined up with three managers, a new Elevator Talk and two new profiles. It’ll be good. This entry was posted in Mutual Fund Commentary on August 1, 2016 by David Snowball. Morningstar is in the business of helping investors. Since most investors have most of their money in large funds, that’s where Morningstar spends their time and energy. By way of illustration, Morningstar has published reviews of 530 funds in 2016. Of those, 450, or 85%, have assets under management of more than a billion. The median size for all reviewed funds, including those that haven’t been reviewed in the past five or ten years, is about $1.5 billion. The median size for all funds, not just those reviewed, is about $220 million. To be clear: there are 3400 funds with less than $220 million in assets, of which 24 (0.7%) have received analyst coverage in the past 12 months. That’s not a criticism, it’s a business model. Morningstar needs to follow the money because that’s where the vast bulk of the paying customers are. The Observer, both noncommercial and nonprofit, has the freedom to go where Morningstar cannot; a complement rather than a competitor, mostly yin to their mostly yang. Rupal Bhansali of Ariel Funds. Rupal’s two Ariel funds (Global AGLOX and International AINTX) have five year records and about a quarter billion in AUM but Ms. Bhansali herself has been managing for 21 years and overseas hundreds of millions more in separate accounts. Jonathan Bloom, representing the team-managed FMI Funds. FMI International (FMIJX), for which he was being recognized, holds $4.4 billion and has a six-year record. Andrew Foster of Seafarer Funds. Andrew’s Seafarer Overseas Growth & Income Fund (SFGIX) has $1.4 billion in assets and a four year record which builds on his decade of work at Matthews International. In this case, on average, you can become “undiscovered” after you have $2 billion in assets and a five year record as a fund and a ten or fifteen year record as a manager. They all richly deserve the recognition. We profile Ariel Global below and have written repeatedly about Seafarer. In truth we should have begun coverage of FMI around the time we launched, but I screwed up and the fund is outside of our coverage universe (roughly defined as “funds off Morningstar’s radar”) now. Morningstar also published two articles this month on the subject of undiscovered funds; the sort of “not ready for prime-time” crew that Morningstar’s keeping an eye on for you. After torching the strawman argument that most new funds aren’t worth much attention (uhhh … (a) we agree and (b) we think that’s true of most old funds, too. 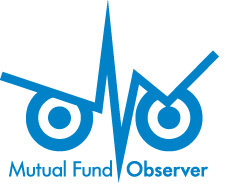 The Observer’s argument from the moment we launched is that 80% of all mutual funds could be shuttered with no loss to anyone except the folks drawing fees from them), Morningstar offered some off-the-radar possibilities for you. It turns out that if you have a highly accomplished manager who leaves a large fund to launch a small one, you’ve got an awfully good prospect for success. Likewise, if you’ve got a firm that never launches new funds and then they launch a new fund, you’ve got an awfully good prospect for success. 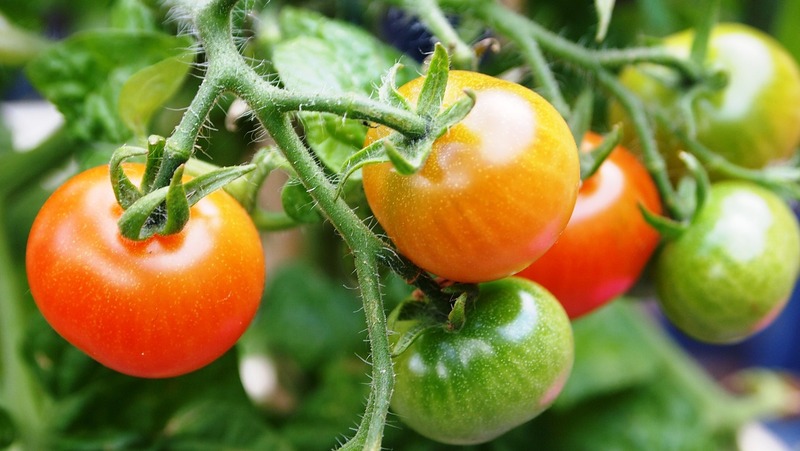 It’s never been clear to us why you’d approach such managers as if they were amiable bumpkins recently tumbled from the turnip truck, waiting for years before acknowledging that they were even off-the-radar (but close). Goldman Sachs ActiveBeta U.S. Large Cap Equity ETF (GSLC) The funds low vol plus price momentum strategy earned an incredibly tepid endorsement: “The ETF’s 0.09% expense ratio is less likely to erode whatever modest performance advantage it might offer.” Uhhh… if that’s it, why bother? AQR Long-Short Equity (QLEIX) Three years old, top 1% since launch plus $1.4 billion in assets. It’s your basic AQR black box. Frankly, if I had fund radar and funds with a billion in assets were under it, I’d invest in new radar. LoCorr Market Trend (LOTIX) Two-year-old fund based on a 10-year-old hedge fund, $1.4 billion in assets. It’s a managed futures fund that benefits from the fact that most of its peers are rolling wrecks. NAV peaked in April 2015, down about 7% since. AC Alternatives Market Neutral Value (ACVKX) Five years old market-neutral fund with $715 million and a manager who oversees $25 billion. It uses a pair-trading strategy where it would, for example, balance a long position in one carmaker with a short position in another. The goal is 300-400 bps above cash with zero market correlation. With annual returns of 2-4%, they’re right in the range. If you find the strategy attractive, consider acting now. The manager expects to close at below $1 billion. Columbia Acorn Emerging Markets (CATIX) This five-year-old fund closed in July 2014 with $575 million in assets and reopened in February 2016 at about one-third of that amount. Over that same period, it lost about 30%. Because Morningstar doesn’t break out small- to mid-cap EM funds (or EM balanced funds) separately, CATIX looks worse than it is. It’s a solid, risk-sensitive fund in a very volatile niche. Rainier International Discovery (RAIIX) Nice fund, $215 million, three year record but the load-waived shares are a bit scarce. It’s managed by Henrik Strabo who ran American Century International Discovery for about 20 years, then bounced around a bit: Touchstone, GuideMark, Clough, Rogge, but never for more than a year or two. Odd. Queens Road Small Cap Value (QRSVX) Our profile concludes, “Based on his record over the past 13 years, Mr. Scruggs has earned the designations patient, disciplined, successful. If you aspire to the same, the two Queens Road funds should surely be on your due-diligence list.” Yep. JPMorgan Global Allocation (GAOSX) $1.4 billion and 5 years old. That seems to be some sort of sweet spot for “under the radar but not too far under.” Morningstar defaults to sharing the institutional class ticker which, in several cases, as here, adds a star or two to the rating. T. Rowe Price Global Allocation (RPGAX) We might have misunderestimated RPGAX. When we profiled it in 2013, we concluded “Investors who have traditionally favored a simple 60/40 hybrid approach and long-term investors who are simply baffled by where to move next should look carefully at RPGAX. It doesn’t pretend to be a magic bullet, but it offers incredibly broad asset exposure, a modest degree of opportunism and a fair dose of risk hedging in a single, affordable package. In a fund category marked by high expenses, opaque strategies and untested management teams, it’s apt to stand modestly out.” Oops. I forgot how dismal the average world allocation fund is. RPGAX is substantially stronger than its peers, though it consistently trails other plausible comparisons such as Vanguard STAR (VGSTX) and Leuthold Core (LCORX). CRA Qualified Investment (CRANX) $2 billion and nine years old. In late 2013 we noted “Virtue has its price: The Community Reinvestment Act requires banks make capital available to the low- and moderate-income communities in which they operate. That’s entirely admirable but the fund’s investors pay a price: it trails 90% of its intermediate-bond peers.” Through the magic of standard reporting periods (1, 3, 5 years) plus a couple okay years of late, the bad years have vanished from the ratings and its 3- and 5-year returns are 20-40 bps above average. Supporting community redevelopment is a very good thing, just do it with your eyes open. Bottom line: not all investors have the freedom to consider truly new funds. For many investors, policy or principle requires them to wait three to five years, to hold off until a fund crosses an asset threshold (e.g., $250 million minimum) or demonstrates high liquidity or a capacity-unconstrained strategy (i.e., the ability to quickly absorb and return huge amounts of money without disrupting the market or strategy). The Morningstar Prospects list is a valuable tool for helping such investors find relatively small, relatively new opportunities that might otherwise be lost in the noise. If you’re in that camp, you should try to track down a subscription. Investors who are unconstrained by such arbitrary rules might find useful leads here three years and a billion dollars sooner. Janus has announced the departure of Kumar Palghat from Janus Unconstrained Global Bond Fund (JUCAX). Mr. Palghat, a very accomplished investor with a long record of success at PIMCO and elsewhere, will become the manager of Janus Short Duration Income ETF. Mr. Palghat worked with the fund for just over one year. 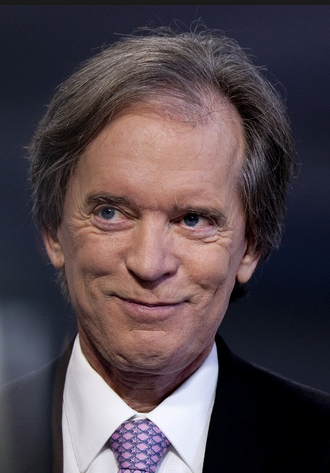 In his absence, Bill Gross returns to complete control. Let’s make two observations about JUCAX. One, before Mr. Palghat’s arrival, JUCAX was a ridiculously volatile fund that underperformed its peers. Two, after Mr. Palghat’s arrival, JUCAX became a very stable fund that substantially outperformed its peers. At the same time, the fund’s Board of Trustees broadened Mr. Gross’s toolkit by expanding the fund’s ability to invest in commodity-linked investments. By Bloomberg’s estimation, over half of the money in the $1.5 billion fund comes from Mr. Gross’s own $2 billion fortune. Mr. Palghat’s new fund will target beating the LIBOR for 200-300 bps. This will put him in direct competition with PIMCO Enhanced Short Maturity Active ETF (MINT), the largest of the actively-managed ETFs. He’ll be joined in the venture by former colleagues at Kapstream Capital, which he founded after leaving PIMCO in 2006 and which Janus bought in 2015. The disaster of Third Avenue Focused Credit (TFCVX) rolls on. For those not following December’s drama, TFCVX offered the impossible: it would invest in illiquid securities (that is, stuff that couldn’t be sold at the drop of a hat) but provide investors with daily liquidity (that is, act as if portions of the portfolio could be sold at the drop of a hat). That worked fine as long as the market was rising and no one actually wanted their money back, but when the tide began to go out and investors wanted their money, the poop hit the propeller. Third Avenue couldn’t raise the cash to meet investor withdrawal demands. Instead, they froze withdrawals from the fund (an unprecedented development) and had their irascible president David Barse escorted from the building by security. Since then, they’ve been trying to sell off the portfolio piecemeal, passing along dribs and drabs to shareholders as funds become available. The frozen shareholders have so far received two distributions, $0.59/ share on December 16 and $0.54/share on June 14, 2016. That’s $1.13/share against a last pre-freeze NAV of $6.48. What would they be buying? Third Avenue is paying the investment bank Houlihan Lokey Inc.to find an answer to the first question. The Journal’s two speculations are distressed securities investors or firms “who want to get into the mutual-fund business” (though that seems a bit like trying to sell the Titanic to firms “who want to get into the shipping business”). The nominal answer to the second question is a fund “which had assets of $592 million.” Sadly, that answer is arrant nonsense. A security is worth precisely what a buyer will pay for it and the evidence at hand is that Third Avenue can’t find anyone to pay anything like that amount. If they could, they wouldn’t be trying to sell the fund, they’d simply sell the securities in the fund. So where does the $592M come from? The explanation comes in Third Avenue’s latest shareholder report. They dutifully report that the fund has “Total Investments #” of $585,734,004. At the bottom of the table, the hashtag gets explained: “# Total cost.” Translation: the fund is holding pieces of paper for which they paid $585 million. Morningstar offers up one silver lining. Their estimate of shareholders’ Potential Cap Gains Exposure is -201.68. Translation: for $1 you have invested, you might reap $2 in tax losses. Through June there were 281 funds with assets over $10B, including 8 that have trailed their peers in absolute return by at least 1.7% per year during the current market cycle since November 2007, or about 14% or more in underperformance. (See table below, click on image to enlarge.) 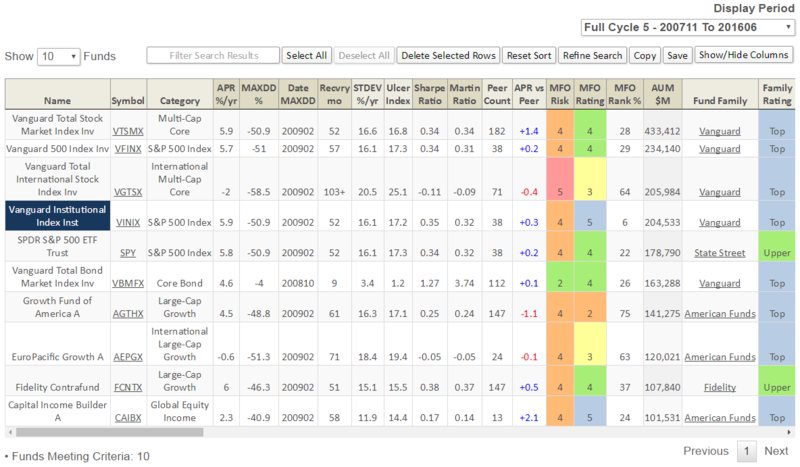 Most are bottom quintile performers, trail nearly 90% of their peers, and four are Three Alarm funds. They include Templeton Growth (TEPLX), Thornburg Investment Income Builder (TIBAX), Davis New York Venture (NYVTX), Fidelity Magellan (FMAGX), and American Funds’ Bond Fund of America (ABNDX) and Intermediate Bond Fund of America (AIBAX). The folks invested in these funds certainly can’t be accused of chasing returns. In my friend’s case, the transfers can only be done “in-kind,” so unless the 34 funds are liquidated at American Funds (transferred actually to an AF money market fund), Vanguard will charge $35 per fund or $1,200 to sell the 34 funds prior to reinvesting in Vanguard funds. Good grief! On the other hand, liquidating before transfer means being out of the market for some uncertain period of time, which comes with its own attendant risk. In any case, the word “entrenched” comes to mind. Speaking of AUM, what is the top fund by AUM in each category? 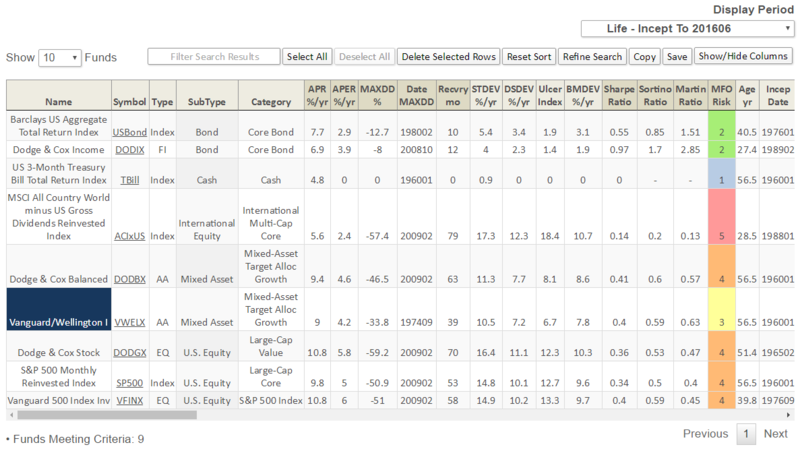 We’ve recently added this screen and others to the MultiSearch tool on the Premium site. Below are results month ending June, for large-, mid-, multi-, and small-cap US equity funds (click image to enlarge). Performance metrics are for current market cycle. Below are top 10 funds by AUM of all 9,371 rated funds through June (click image to enlarge). Vanguard holds 5 stops, American Funds holds 3. Meb Faber has now posted 9 podcasts. I’ve enjoyed the first three so far, especially the one with Patrick O’Shaughnessy. Wes Gray is next up. One can learn a lot in short period listening in on these conversations. In one episode, Meb speaks of the 521 Rule. He explains, “Stocks around the world average 5% a year, bonds around 2% a year. I’m averaging up and T-Bills about 1%.” He’s talking real returns after inflation and notes US equities have done a little better. The numbers remind me of excess returns, which is the difference between total return and risk-free rate (90-day TBill). In the piece Timing Method Performance Over Ten Decades, we find US equities, US bonds, and US TBill dating back to 1926 have returned 10, 6, and 4% annually, round numbers, respectively. So, annualized percent excess return (APER) equates to 6% for stocks and 2% for bonds. 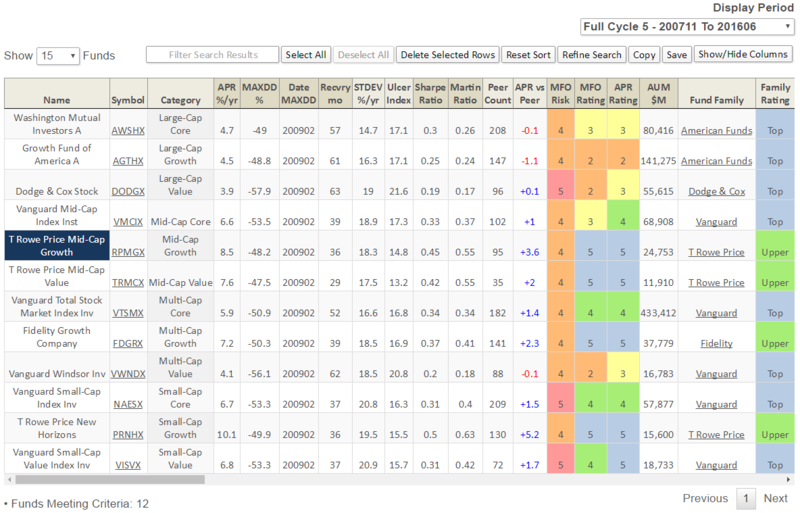 Below please find a sample output (click image to enlarge) showing several reference indices and stalwart funds, each since inception, which varies from about 30 years to almost 60 years (the extent of our Lipper database). For the past 30-40 years, bonds have delivered excess returns better than the much longer-term norms, while international stocks have remained an enduring disappointment. WesBanco Bank Inc of Wheeling, West Virgina. States not represented? Alaska, Idaho, Mississippi, and Wyoming. This entry was posted in Charles on August 1, 2016 by Charles Boccadoro. This entry was posted in Sam on August 1, 2016 by Samuel Lee. David Sherman shared this with his investors in his Q2 Shareholder letter. It’s summertime. You are reading this from the vacation house. Or perhaps you are at the ballgame like Professor Snowball, rooting for the Quad City River Bandits. There is no event risk on the horizon. You trust your fund managers. The portfolios can stay on autopilot until Labor Day. As advisors struggle with the new fiduciary rules, they may wonder how frequently manager selection decisions need to be reviewed. We set out to answer the question: What is the likelihood that a portfolio left on autopilot will go bad over time. We compared the ratings on 7000 mutual funds to see how much the probability metrics changed over time. Trapezoid’s data and models (which can be trialled at www.fundattribution.com) tell us the probability a given fund class will deliver skill over the next 12 months. For most funds, skill is a function of value-added from security or sector selection. Skill takes into account a manager’s returns each period adjusted for factor exposures and other attributes. If you have crossed off anything mathematical from your summer reading list, you can skip the next few paragraphs. Otherwise, bear with me. Investment professionals might hope that probabilities are fairly stable, because it would imply the manager selection decisions you made years ago are still valid. And you could fulfill your fiduciary duty while working on your tan. Actually, the probability for a typical equity or liquid alts fund today equals the probability from 9 months ago plus or minus a standard deviation of .14. (This study is based on return data through April 2016. There are a few things going on with the data and the natural rate may a bit lower.) The median fund on the Trapezoid Honor Roll has a probability of .68. In nine months’ time, roughly 9% of these funds will see the probability deteriorate to below 50%. At that level, we adjudge (taking into account the availability of lower-cost passive alternatives) you are better off dumping the fund. If you own a fund which just barely qualified for the Honor Roll 9 months ago with a probability rating of .6, the odds we will want to dump it is 23%. On an annualized basis, you may need to change out 25% of your managers. Confidence in portfolio managers is hard to earn and easy to lose. Some professional managers review the managers more frequently for the riskiest asset classes. But the standard deviation is just as high for long only equities as for liquid alts, suggesting you need to be just as vigilant reviewing equity managers. We present here a subset of notable funds whose outlook, as measured by FundAttribution, has changed materially over the past 9 months. We include here the institutional ticker. Our confidence in the worthiness of a fund can vary greatly by share class: very few funds in our experience are good enough to justify paying a large upfront load. However, when we re-rate a fund, the metrics for all fund classes tend to rise. The FundAttribution.com site indicates whether a particular class is good enough to make the Trapezoid Honor Roll. The Fidelity All-Sector Equity Fund (FSAEX) and T. Rowe Price Mid-Cap Value Fund (TRMIX) funds are closed to new investors and some other funds/strategies have experienced AUM growth. Some of these funds have been upgraded by Morningstar in recent months. Funds which have risen in our estimation but have not been upgraded by Morningstar include JPMorgan Value Advantage (JVAIX), Pioneer Growth Opportunities Fund (PSMKX), and Franklin Mutual Global Discovery Fund (FMDRX). I was a bit surprised to find Matthews Asian Growth and Income Fund (MICSX) on the downgrade list. Several Matthews funds including Matthews Pacific Tiger Fund (MIPTX) are fixtures on our Honor Roll. Matthews manages several funds with similar names which take rather different investment approaches to the Pacific Region. We observe MICTX missed out on on India in recent years and carried too much exposure to Industrials. Good managers go through bad patches or long stretches with merely average performance. Even after a careful manager selection process, the data next year won’t always validate the original decision. Fiduciaries should review all managers annually and be prepared to change up to one quarter of mandates. Generally, you should look for returns which justify expenses, taking into account risk, factor exposures, consistency, and fluctuations in expense ratios. FundAttribution monitors all funds, making it easy to identify whether other active funds in the same space who may have earned their laurels since your last review. This entry was posted in Leigh on August 1, 2016 by Leigh Walzer. Ariel Global Fund’s fundamental objective is long-term capital appreciation. The manager pursues an all-cap global portfolio. The fund is, in general, currency hedged so that the returns you see are driven by stock selection rather than currency fluctuation. The manager pursues a “bottom up” discipline which starts by weeding out as much trash as humanly possible before proceeding to a meticulous investment in both the fundamentals of the remaining businesses and their intrinsic value. The fund is diversified and will generally hold 50-150 positions. As of July 2016, there are 84. Ariel Investments LLC of Chicago. Founded in 1983, Ariel manages $10 billion in assets spread between nine separate account strategies and six mutual funds. Ariel provides a great model of a socially-responsible management team: the firm helps run a Chicago public charter school, is deeply involved in the community, has an intriguing and diverse Board of Trustees, is employee-owned, and its managers are heavily invested in their own funds. One gets a clear sense that these folks aren’t going to play fast and loose either with your money or with the rules. Rupal Bhansali. Ms. Bhansali joined Ariel in 2011 and has served as portfolio manager for the International and Global Funds since their inception in 2011. She and her team are based in New York City which substantially eases the burden of meeting representatives of the non-U.S. firms in which they might invest. She has more than 20 years of industry experience, most recently spending 10 years at MacKay Shields as Head of International Equities, managing MainStay International (MSEAX). Before that, she was a portfolio manager and co-head of international equities at Oppenheimer Capital. Vast. The combined global and international strategies hold about $3.5 billion now but could accommodate $50 billion. A lot more than is obvious at first glance. Ms. Bhansali’s reported investment in the fund is between $50,000 – $100,000 as of September 30, 2015. She has two layers of additional investment. First, Ariel is owned by its employees and directors so when she joined the firm, she devoted a fair amount of her wealth to investing in it. Second, her portfolios were originally marketed as separately-managed accounts; she made a substantial investment in such an account to visibly align herself with her investors. As a result, the reported investment in the fund is a fraction of her total financial commitment. I am a bit perplexed that Ariel president John Rogers hasn’t invested in the fund, though he does have a noticeable investment in its sibling, Ariel International (AINTX). Six of Ariel’s seven independent trustees have chosen to invest in the fund, as have four of her six fellow managers. $1,000 for Investor shares, $1 million for Institutional (AGLYX) ones. 1.25%, after waivers, for Investor shares on assets of $88 million, as of July 29, 2016. The Institutional shares charge 1.0%. I have twice had the opportunity to speak with Ms. Bhansali and have come away impressed from each encounter. She’s had a long career in international and global investing. She’s very smart and articulate; she really gives the impression of thinking about questions rather than rattling off talking points. She’s made a series of principled and thoughtful career moves, and she’s served her investors well. I hope you have the opportunity to engage with her as well. She and her team think of themselves as business analysts, not financial analysts. There are a lot of businesses out there which are poorly run, vulnerable to predation or in a dying industry. She wants no part of any of them. “When we look at these fundamental business risks, we eliminate 60% of all firms. Those are stocks that we would not own, ever, regardless of price.” To be clear: they are sensitive to price and valuation, but only if the underlying business is sound. Of the sound businesses, about 50% are fully valued. They focus their 360-degree analysis on the remaining 20%. She and her team build the portfolio stock-by-stock. They’re not benchmarking themselves against an index or peer group; the culture at Ariel favors independent thinking even when it means being out of step. Similarly, they don’t make thematic bets. They allow ideas to compete for space in the portfolio. The more misunderstood a firm is, the more it’s likely mispriced. An example she cites frequently is the choice between Microsoft (which she does own) and Apple (which she doesn’t). Everyone knows that these are two tech giants and everyone knows that tech companies post flashy growth numbers, everyone knows that Microsoft’s best days are behind it. In consequence, everyone bought Apple. As it turns out, “everyone” was wrong. Over the past five years, an investment in Microsoft – a steady cash machine with predictable, recurrent cash flows – was far more profitable than an investment in Apple. “Everyone is ‘contrarian’ but it’s not enough to be contrarian. You must be contrary and correct. Very few are.” The most mispriced firms earn the largest spots in the portfolio. As of August 2016, Microsoft is the fund’s largest holding. The fund launched one day too late. A fund’s first NAV is published at the end of its first day. The markets rose by 200 bps that day but the fund recorded zero change. The fund was still deploying cash during a very buoyant quarter. Q1 saw the average fully-invested global fund rise by 12%. Ariel International and Global follow the same discipline. Purists might prefer to look more closely at the larger, five-star International (AINTX) fund. Both because it’s smaller and it affords its manager greater flexibility, we chose to profile Global. In either case, patient, risk-sensitive investors interested in expanding (or upgrading) their international exposure should add the funds to their due-diligence list. The portfolio is unconstrained by geography, credit quality or market cap. The manager is risk conscious, looking for securities that combine undervaluation with a definable catalyst which will lead the market to recognize its intrinsic value. Catalyst Capital Advisors LLC. Founded in 2006, Catalyst specializes in bringing alternative managers, folks with distinctive strategies which focus on risk and volatility management, to retail investors and advisors. Catalyst advised one fund in 2006 and 27 in 2015. It works with ten investment management firms and has more than $2.5 billion in assets under management. Michael S. Dzialo, Peter J. Swan and Karen M. Culver. Mr. Dzialo is the founder and president of Managed Asset Portfolios, LLC (MAP). Mr. Swan and Ms. Culver are portfolio managers at MAP. The trio has worked together for nearly 20 years and average nearly 27 years of industry experience. They currently manage over $450 million in assets in two mutual funds and over a thousand separate accounts. Their work is supported by two research analysts. Mr. Dzialo puts the firm-wide capacity at between $3-4 billion with current assets under half a billion. He’s committed to closing the fund at any point that asset growth, either the total level of assets or the rate of inflow, impedes their ability to execute the strategy. The managers are lightly-invested in their two funds. While that’s not ideal, it is understandable. They presented these strategies in separately-managed accounts a decade before the funds launched. As a result, their investment in the strategy appears primarily through such accounts. $2,500 for either the A or the institutional share class, reduced to $100 for accounts established with an automatic investing plan. 1.55% after waivers on “A” class shares, 1.25% after waivers on institutional shares. All on assets of $23 million. “A” shares also carry a 5.57% sales load. Institutional shares, of course, do not. Some firms are all about flash and headlines. Other firms are all about carefully, repeatedly executing their strategies. MAP appears to represent the latter group. Since 1991, Mr. Dzialo and team have offered three strategies: U.S. equity, global equity and global balanced. The mantra behind all of those strategies is the same: the process must be transparent, disciplined and repeatable. Portfolio construction begins by winnowing down the 15,000 securities available to the 40-65 in the portfolio. They run quantitative screens to immediately eliminate overvalued securities. That drops them to about 5000. 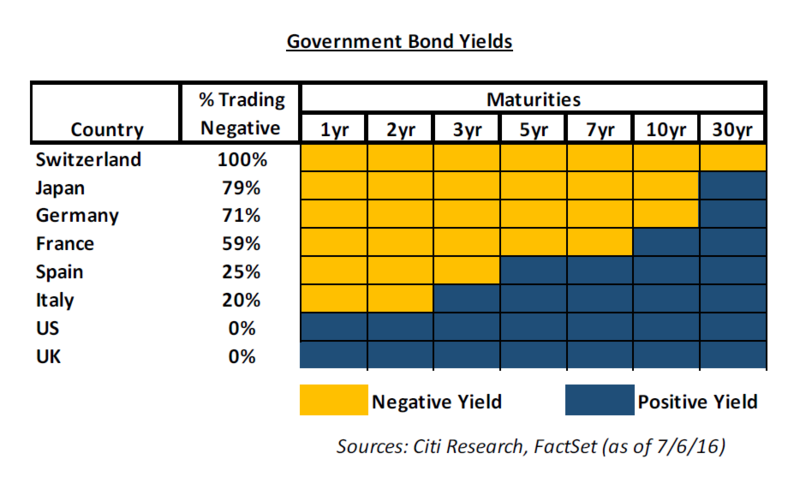 They then target securities that will benefit from one of a handful of global themes they’ve identified; for example, they’ve been convinced since 2007 that excessive public and private debt will constrain growth. That drops them to about 1000. They next look at business quality (down to 200) and then for identifiable catalysts which will unlock the value in these well-run, well-positioned, undervalued securities. That leaves them with a portfolio of 40-65 names. That element of the portfolio is complemented by short-term bonds, selective use of covered calls and cash. As with stocks, they tend to look for misunderstood bond issuers; by way of example, while JC Penney’s intermediate term bonds might reasonably be rated as “junk,” they have sufficient capital and cash flow to cover their short-term bonds. The fact that Penney is “a junk bond issuer” can then lead to mispricing of their short-term debt. In periods of high volatility, the managers can sell covered calls on up to 30% of the portfolio. That strategy generates consistent income. In steadier markets, the strategy is scarcely worth the effort and its role in the portfolio dwindles. Finally, they hold 5-15% cash depending on whether there’s an attractive opportunity set now or the prospect of a more attractive set in the near future. On whole, it’s not very complicated which helps explain why it works. And it does work. The Global TRI fund is one manifestation of MAP’s Balanced strategy. That strategy dates to 2001. 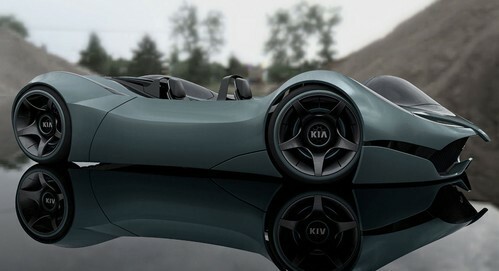 Since then it has returned 6% per year compared to 3.9% for its global benchmark. Over time, that compounds to a significant advantage: $1000 invested in the Balanced Composite at inception would be worth $2400 as of June 30, 2016. A similar investment in its passive benchmark would have grown to $1700. Similarly, $10,000 invested at the inception of the mutual fund would have grown to $13,100 by June 30 while its average world allocation peer would have returned $11,200. More importantly, the Global TRI strategy has produced higher returns while exposing its investors to less volatility. Over the long term, the MAP Balanced Composite has a beta of just 0.69 compared to its benchmark and captures just 53% of the benchmark’s downside. The Composite has been around for 144 rolling 36-month periods (July 31, 2004 – June 30, 2016). It has never lost money over any 36-month period while its passive benchmark has had 22 negative periods. Though we don’t have precisely the same calculation for the mutual fund, all of the measures of risk and risk-adjusted returns we track show the Global TRI fund beating its peers. Translation: TRXAX has higher annual returns, a lower maximum drawdown, lower standard deviation, lower bear deviation, smaller Ulcer Index (a measure of the factors in both size and duration of a loss), higher bear market rating, and higher Sharpe, Sortino and Martin ratios. The actual numbers on the no-load TRXIX shares would actually be better because of its lower expense structure. Since those shares only launched in 2014, we chose to give the stats for the oldest share class. MAP has been doing their work, and doing it very well, for 15 years. I’m impressed by their consistent performance and even more impressed by their focus; they’ve added no new managers, branched off into no new strategies, undertaken no splashy asset-gathering gambits. They seem proud to serve their over 500 clients – family offices, institutions, and others, many of whom have been with them for the long haul. It’s a disciplined process rather than a flashy strategy which is, we believe, an enormous strength. Folks interested in maintaining some equity exposure but anxious about the distortions imposed by giddy central bank policies and corporate managers obsessed about the short term, should spend some serious time learning about these folks. Catalyst doesn’t provide pages dedicated to their individual funds. Instead there’s sort of a pick-up spot where you can grab literature on all of the Catalyst products. MAP’s website, while not primarily dedicated to fund investors, is infinitely more interesting. Go there. Wow. Barely three dozen managers were subjected to the walk of shame (or, perhaps, the happy dance out the door) this month. There were two high profile changes. Rob Taylor is retiring from management of Oakmark Global and Oakmark International, both of which are reopening to new investors. David Herro is being added as co-manager of the former and becomes sole manager of the latter. Since Mr. Herro is already managing $20 billion, the additional assignments either suggest that Oakmark is running out of talent or that Mr. Herro is feeling a bit megalomaniacal. At we noted above, for reasons unexplained, Kumar Palghat has left Janus Unconstrained Global Bond (JUCAX) after one year. In iconic changes, as we note below, West Shore is out at West Shore and Burnham is out at Burnham. This entry was posted in Manager changes on August 1, 2016 by Chip. Newly-proposed funds need to sit quietly for 75 days. During that time the Securities and Exchange Commission staff reviews their prospectuses and has the right to demand changes. If the SEC doesn’t object, the advisor earns the right – but not the obligation, oddly enough – to release the fund to the public. Funds currently in registration are apt to launch at the end of September so that they will be able to report complete results for the fourth quarter of 2016. Janus Short Duration Income ETF will take on PIMCO Enhanced Short Maturity Active ETF (MINT) as an option for investors who can’t afford to earn zero (or less than zero) on their cash holdings. The new fund benefits from the presence of Nick Maroutsos and Kumar Palghat. Both are former PIMCO managers who co-founded Kapstream Capital, which was purchased by Janus in 2015. JOHCM International Opportunities Fund combines an absolute value orientation (“we won’t buy things just for the sake of buying things”), a very concentrated portfolio and the skills of a very well-respected British investment house, J O Hambro Capital Management. The expenses are reasonable though the share class structure is a bit opaque; in addition to a high-minimum institutional class, there are two classes with no defined minimum at all. Those appear aimed at giving brokerages the opportunity to set the ground rules for their investors. And, too, Joel Greenblatt and the Gotham guys are launching four more institutional funds: Gotham Absolute Core, Enhanced Core, Hedged Core and Index Core funds. You’re welcome to read about them if you like. Active Alts Contrarian ETF (SQZZ) seeks current income and capital appreciation. The plan is to invest in foreign and domestic stocks where the manager expects a “short squeeze” might occur. That is, they’ll look for stocks that lots of people have unjustifiably shorted and try to ride the short-covering rally up. Bon chance! The fund will be managed by Brad Lamensdorf, founder and President of the Active Alts. He’s a hedge fund guy and a newsletter writer. The initial expense ratio hasn’t been released, but the management fee is an unsustainable 1.55%. Given that it’s an active ETF, there’s no minimum investment. AdvisorShares Focused Equity ETF seeks long term capital appreciation. The plan is to buy US-listed stocks using “use a variety of methods.” They expect “low turnover,” which they suggest means “no more than 100% a year.” (Uhhh … the average turnover rate for US large cap funds is 65% while folks like LEXCX (0%) and DGAGX (6%) set the standard for what “low turnover” means.) The fund will be managed by Edward Elfenbein of AdvisorShares. Mr. Elfenbein has been following this discipline since 2006 and publishes it annually as the Crossing Wall Street “Buy List.”The initial expense ratio is 0.75%, after waivers. Given that it’s an active ETF, there’s no minimum investment. Centre Global Infrastructure Fund seeks long-term growth of capital. The plan is to invest in the stock of firms that derive the majority of their earnings from infrastructure, a term that they define very, very broadly: railroads, toll roads, bridges, tunnels, airports, parking facilities, seaports, electric transmission and distribution lines, power generation facilities, oil, gas and water distribution facilities, communications networks and satellites, sewage treatment plants, critical internet networks, hospitals, courts, schools, correctional facilities and subsidized housing). The fund will be managed by Xavier Smith. The initial expense ratio is 1.40% for Investor shares. The minimum initial investment is $5,000. FundX Sustainable Investor will seek long-term capital appreciation without regard to income. The plan is to be a fund of SRI funds and then to apply the same momentum-based Upgrader strategy (buy funds will strong recent performance, sell the others). The fund will be managed by a team from FundX Investment Group. The initial expense ratio is 1.91% including a 1.0% management fee. The minimum initial investment is $1,000. Green Century MSCI International Index Fund seeks to match the long-term total return of an ESG-screened international index. The plan is to track the MSCI World ex USA SRI ex Fossil Fuels Index; at base, it’s a custom index that starts with an international SRI index then removes anyone who smells of hydrocarbons. The fund will be managed by Steven Santiccioli and Michael O’Connor of Northern Trust. The initial expense ratio is 1.28% for Investor shares. The minimum initial investment is $2500, reduced to $1000 for various tax-advantaged accounts or those set up with an automatic investing plan. Janus Short Duration Income ETF seeks a steady income stream with capital preservation across various market cycles. The plan is to invest in a global portfolio of short duration securities and cash, so that the portfolio’s overall duration will sit in the 0-2 year range. The fund will be managed by Nick Maroutsos and Kumar Palghat. Both are former PIMCO managers who co-founded Kapstream Capital, which was purchased by Janus in 2015. Mr. Palghat has spent the last year co-managed Janus Unconstrained Global Bond with The Former Bond King. The initial expense ratio has not been disclosed. Given that it’s an active ETF, there’s no minimum investment. JOHCM International Opportunities Fund seeks long-term total return by investing in a concentrated portfolio of international equity securities. The plan is to follow an absolute value discipline in managing the portfolio. Here’s their discussion: “A key risk to any investor is permanent impairment of capital. This is usually a result of holding overvalued assets. Therefore, the Adviser maintains a strict valuation discipline to make sure assets are only bought when they are attractively valued, in absolute terms, with reference to their intrinsic value. 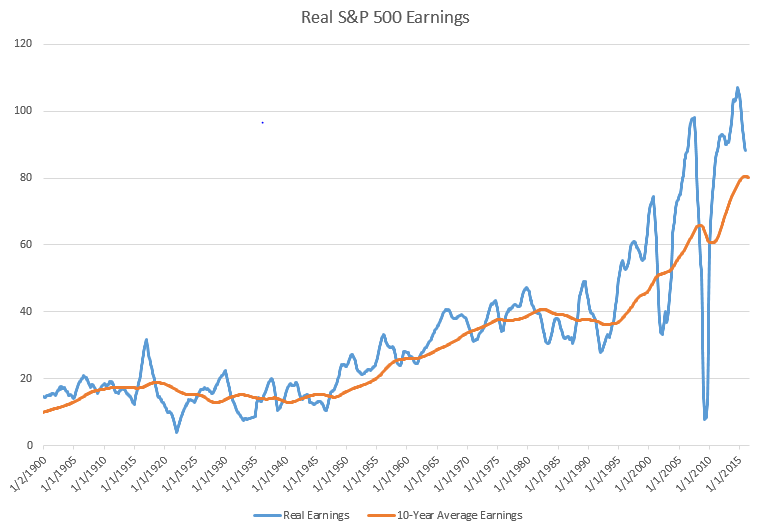 At the same time, overvalued shares in the portfolio are identified and sold. This requires an ability to sell to cash, without necessarily having anything to buy with the proceeds.” The fund will be managed by Ben Leyland and Robert Lancastle of J O Hambro Capital Management. There are three share classes with expenses ranging from 0.89% – 1.14%. The minimum initial investment is $1 million for institutional shares, but it looks like Class II shares will be available through brokerages with minimums set by those brokers. Leader Floating Rate Fund seeks a high level of current income with maybe a bit of growth. The plan is to invest in a global portfolio of floating rate debt securities rated A or better by Standard & Poors. They can invest in other fixed income stuff, but it must be dollar-denominated. The fund will be managed by John E. Lekas, founder of Leader Capital. The initial expense ratio for Investor shares is 1.43%, 50 bps above the Institutional share charge. The minimum initial investment is $2,500. SGA International Equity Fund seeks both current income and long-term capital appreciation. In this case, “international” means “global,” at least 40% non-U.S . The investment strategy is a sort of mish-mash of top-down, bottom-up and occasionally through the side door (with derivatives). The fund will be managed by a Strategic Global Advisors team lead by CIO Cynthia Tusan. The initial expense ratio is 1.45%. The minimum initial investment is $10,000. SGA International Equity Plus Fund seeks both current income and long-term capital appreciation. The strategy text looks about the same as their International (i.e. Global) Equity fund, so I’m not sure what the “Plus” is. The fund will be managed by a Strategic Global Advisors team lead by CIO Cynthia Tusan. The initial expense ratio is 1.60%. The minimum initial investment is $10,000. SGA International Small Cap Equity Fund seeks both current income and long-term capital appreciation. The plan is to invest in a global portfolio of small cap stocks. The fund will be managed by a Strategic Global Advisors team lead by CIO Cynthia Tusan. The initial expense ratio is 1.65%. The minimum initial investment is $10,000. SGA Global Equity Fund seeks both current income and long-term capital appreciation. The strategy section is pretty much identical to the comparable section in their International fund prospectus, so I’m wondering if there was a copy-and-paste error. The fund will be managed by a Strategic Global Advisors team lead by CIO Cynthia Tusan. The initial expense ratio is 1.45%. The minimum initial investment is $10,000. Yieldshares CWP Dividend & Option Income ETF seeks to provide current income with maybe a bit of growth. The plan is to invest in U.S. stocks and then sell covered call options on at least some of them. The fund will be managed by Kevin Simpson and Josh Smith of Capital Wealth Planning and Dustin Lewellyn, Chief Investment Officer of Penserra Capital Management. Presumably one crew handles the equities and the other handles the options. The initial expense ratio has not been disclosed. Given that it’s an active ETF, there’s no minimum investment. This entry was posted in Funds in Registration on August 1, 2016 by David Snowball.